So, as you know I've been working with Baby Jogger and today I’m reviewing the City Tour LUX. My review is that it’s awesome. The end. Okay so here come the facts. 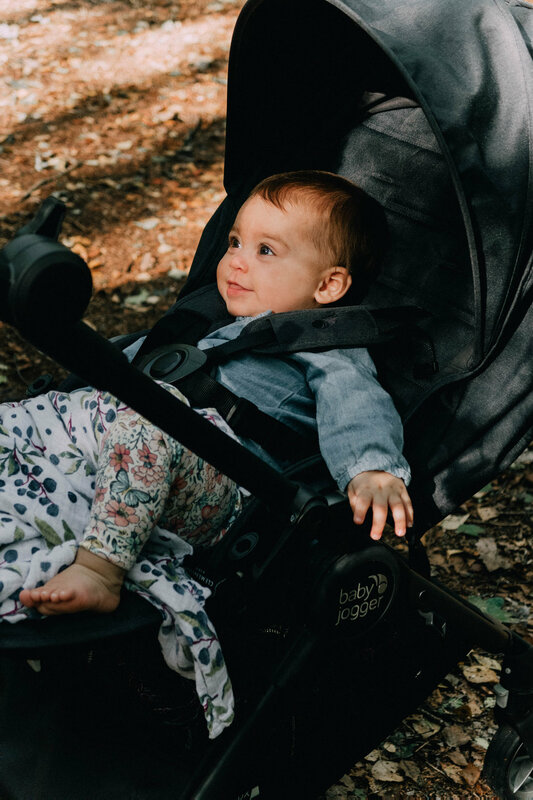 The City Tour LUX is designed for parents on the go and with five ways to ride (including the ability to turn the seat forward or rear facing) it is a pram that can evolve with you and your little bubba, changing effortlessly to suit their needs. One of my favourite parts of the pram is just how compact it is. This was is a massive plus for us as we travel a lot! Combined with it being super lightweight this pram is super easy to chuck in the car ready for our next adventure. I'd also like to let everyone know that me and Ebony totally didn’t think ahead and brought two of the most unsuitable baby cars going, a VW scirocco & a Fiat 500. Luckily the City Tour LUX fits easily in both so there is hope even for the sportiest of vehicle. Before I forget, let me also mention it’s got the most amazing sunshade that contains UV 50+ protection that comes down so far, it’s perfect both for protection and for some well needed quiet time when Daisy wants to have a nap - this is something I am passionate about as we've found it tricky with previous prams to go out in the sun or for long outings. Finally, there are loads of extra accessories to add to the buggy, including a glider board, cup holders, footmuffs and more. The pram retails at £379.00 (the carrycot is then £149.00 but definitely worth it, it's suitable from birth and folds down to half its original size on and off the stroller making traveling a lot easier) which I think in relation to a lot of the prams on the market comes in at great value, especially as it's one that will last and not need replacing at the different stages of development. To end, I would also like to mention that I think it looks really cool and with a choice of colour options (granite or slate), aesthetically it's a winner. There we go! My first review done. I'd love to know what you thought / if I passed the parent reviewer test. Leave your comments below and let me know if you grab one for your parenthood adventure!